Urban farming is doing more than just providing city folk with a way to grow their own salads. Today’s version of urban farming establishes organic gardens in vacant lots and unused spaces to grow crops for people that have trouble accessing healthy foods. When city-dwellers notice urban gardens springing up in their neighborhoods, they become more aware of their own health and are inspired to help others eat healthier too. Not only do urban farms help cut grocery bills, but they also provide communities with jobs and bring people together for the common benefit. Situated in the agricultural mecca of the Midwest, yet far removed from it, Chicago has embraced the concept of urban farming in unprecedented ways. The city’s poverty-stricken South Side is being transformed into an urban farming district, known as Growing Home, which will make use of thirteen square miles of unused space and at least 11,000 vacant lots. Chicago hopes that the farms will bring healthier food options to a notoriously obese community, create jobs, and attract new businesses to the area. Another local organization, City Farm, offers volunteer and internship opportunities for residents to get their hands dirty and learn about growing and selling produce to local markets. 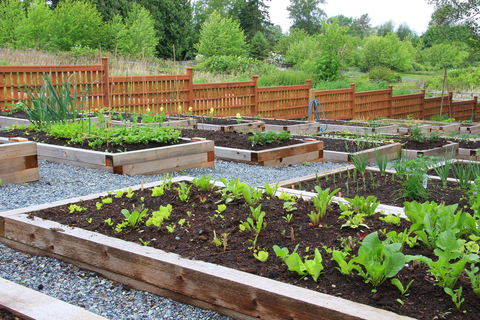 But urban farms aren’t just limited to vacant lots around the city. Entrepreneurial businesses like FarmedHere have been financing vertical farms in cities, hoping to grow millions of pounds of chemical and pesticide-free leafy greens to feed local communities. But Chicago isn’t the only city jumping on the urban farming bandwagon. Rio Grande Community Farm in Albuquerque, New Mexico, Homeless Garden Project in Santa Cruz, California, Jones Valley Urban Farm in Birmingham, Alabama, and Brooklyn Rescue Mission in New York are making a huge impact on their communities as well. The urban farming wave might seem like a new concept, but it actually dates back to ancient civilizations in Egypt and Machu Picchu. Since more than half of the world’s population lives in cities, where millions of hungry people are struggling to live every day, urban farming holds a lot of promise for the future. So if you live in a high rise apartment with little more than a balcony amidst a jungle of steel and concrete, do a quick Internet search to see if any urban farms are growing nearby. Do yourself and your community a favor and get involved!